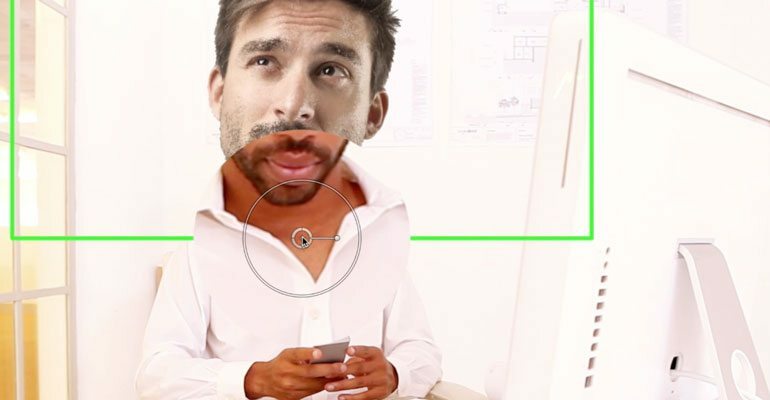 ProBobble is a keyframe assistant tool for Final Cut Pro X users to create hilarious videos using the faces of friends & family. ProBobble intuitive oscillation controls allow editors to add dynamic head movements to any face in the scene. With on-screen controls and aa scene magnifier, video editors can more easily track heads/faces to footage all within FCPX. ProBobble is a Final Cut Pro X exclusive plugin. 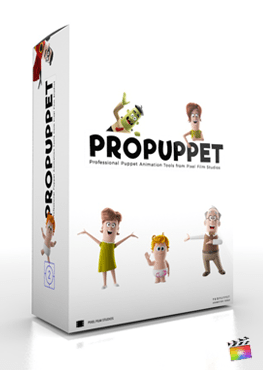 ProBobble gives Final Cut Pro X users the ability to create hilarious videos of friends and family members. Map heads/faces into any scene and create epic dance movements with intuitive oscillation controls. Using ProBobble is easy. Simply insert a head/face into the drop zone provided and utilize the keyframe assistant to easily track it to the scene below. 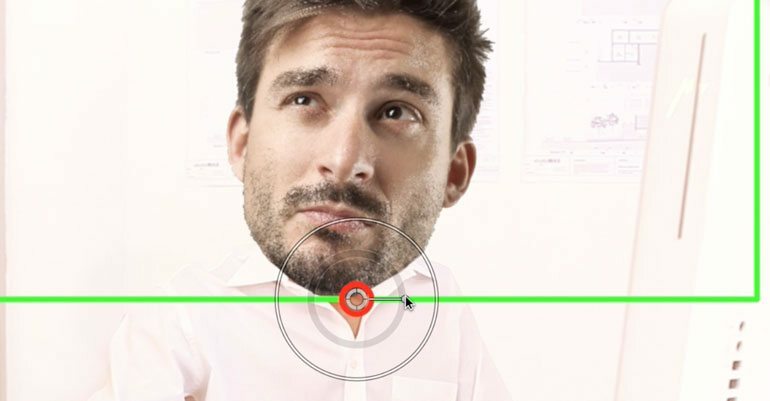 With easy checkboxes, video editors can easily create kinetic head movements with the faces of friends and family. ProBobble features X & Y position oscillations to create the effect of a head nodding yes or no. With Z rotation oscillation, users can apply a dancing effect to faces within the scene. 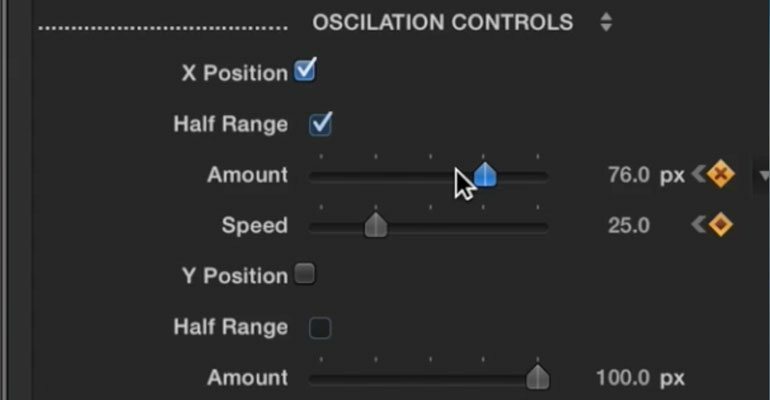 Control the speed and degree of oscillation with simple sliders. ProBobble’s keyframe assistant checkbox magnifies the scene below to create make it easier for video editors to track a specific point within footage. Tracking is made simple with ProBobble. After setting the first keyframe, mimic the movement of footage by repositioning the on-screen control to match the same point throughout the duration of the clip. ProBobble is easy-to-use in Final Cut Pro X. Insert any .png image into the drop zone and adjust the anchor point to align with the bottom of the image. Next tweak the oscillation controls to create the head movement desired. Lastly, use the keyframe assistant tool to help track the faces of friends and family to video footage. Learn how to create hilarious videos using faces of friends and family with the ProBobble Lessson. Before we set up our timeline in FCPX, let’s go into photoshop to prepare our bobblehead. Trace the head with the pen or lasso tool. 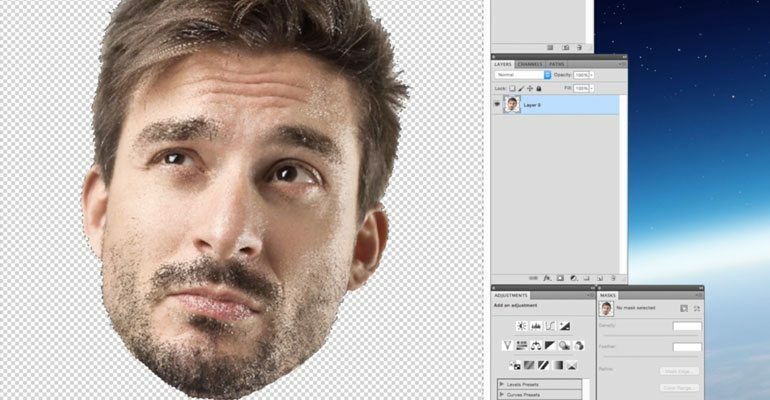 Then, delete the background, so that we have just the head sitting on a transparent canvas. The drop zone will work best if the canvas is 1920 by 1080. Now, let’s add our bobblehead to the scene. Go to the FCPX media library to locate the PNG image that you Photoshopped earlier. Drag the image into the timeline underneath your original media. Go to the Inspector window, and click on the Drop Zone placeholder box. Select your PNG image in the timeline and then Click the blue apply clip that will appear in the bottom right hand corner of the viewer window. Once you have applied the image, you can then delete your PNG bobblehead from the timeline. If your image doesn’t fit the drop zone properly, you can adjust the pan, scale and Anchor point of your PNG image. Now, it’s time to keyframe the position of our bobblehead. Turn the keyframe assistant On so that we can better see the point that we want to track. Go to the first frame of your clip. Select the keyframe icon next to the position parameters. Now drag the On-Sceen Control to a point that will be easily visible through the entire clip. For this example, we will use the models chin and neck as our tracking point. Once in position press the right arrow key on your keyboard. This will advance a single frame. Now drag the on-Screen Control to the same spot as the object moves around. 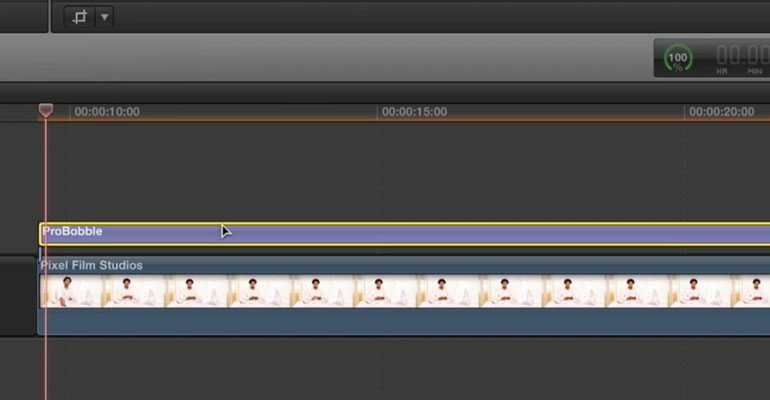 Because this position is different than the previous frame,It will auto-keyframe in Final Cut Pro X. You don't have to keyframe every frame. It depends on the amount of movement in your clip. For this example, we keyframed every 5 to 7 frames. Once that process is complete, turn off the magnification. Now, let’s customize the size and rotation of our bobble head. 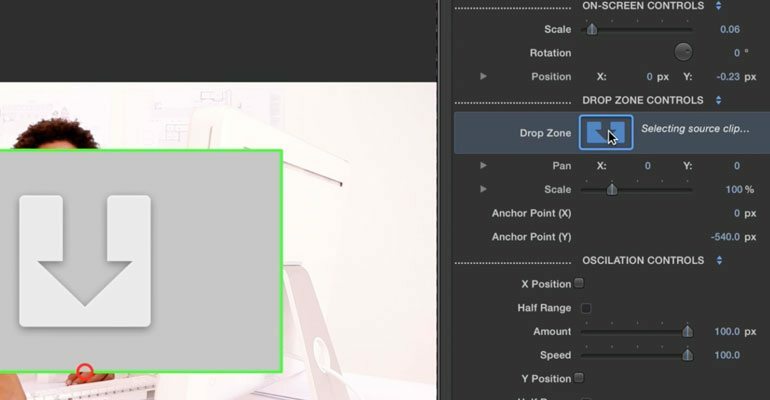 You can use the slider controls in the Inspector, but for this example, we will use the on-screen controls in the viewer window. Click and drag the outside of the circle to scale your image up or down. Then, Click and rotate the pin clockwise or counter clockwise to adjust the rotation. Now for some Final Touches. Let’s use the oscillation controls to make our head bobble. Use the checkboxes to specify which axises you want your head to oscillate along. For each position you can go the full range of motion or half range motion which will be a more controlled movement by checking the Half range check box. To adjust the movement, you have your amount and speed sliders. Move your curser to a point in your media that you want your PNG to start moving and drag the curser to the end of your clip and adjust the amount and speed sliders. After that right click on your titles layer to show video animations, From here you can adjust the keyframes. Where do I find ProBobble? Once the installation is complete, you can find ProBobble in the FCPX Generator, Title and Transition libraries.